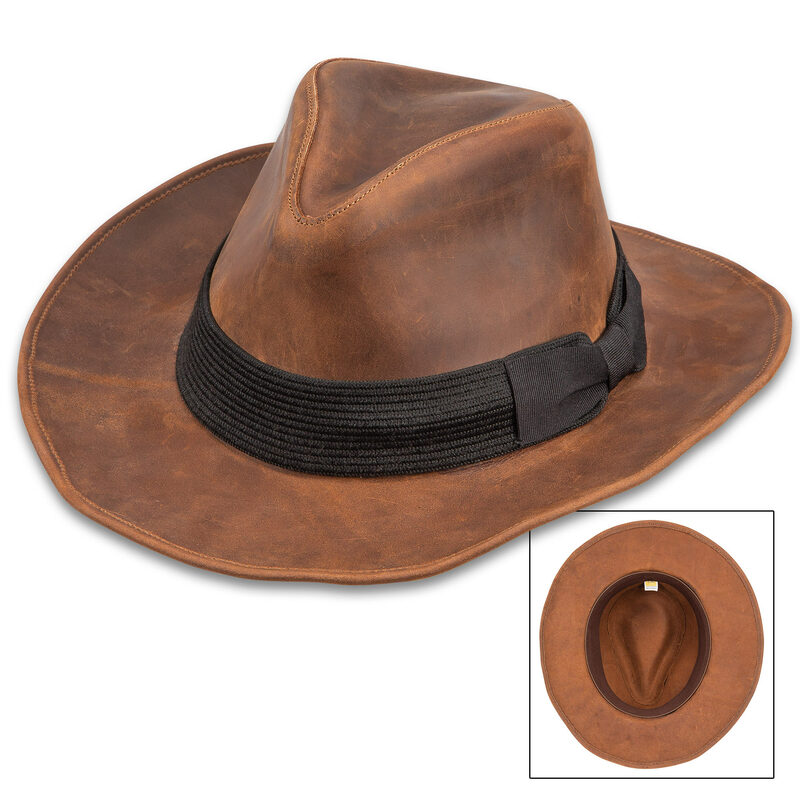 You’ll look like you’re ready for a treasure-hunting adventure when you wear our World Adventurer Hat! 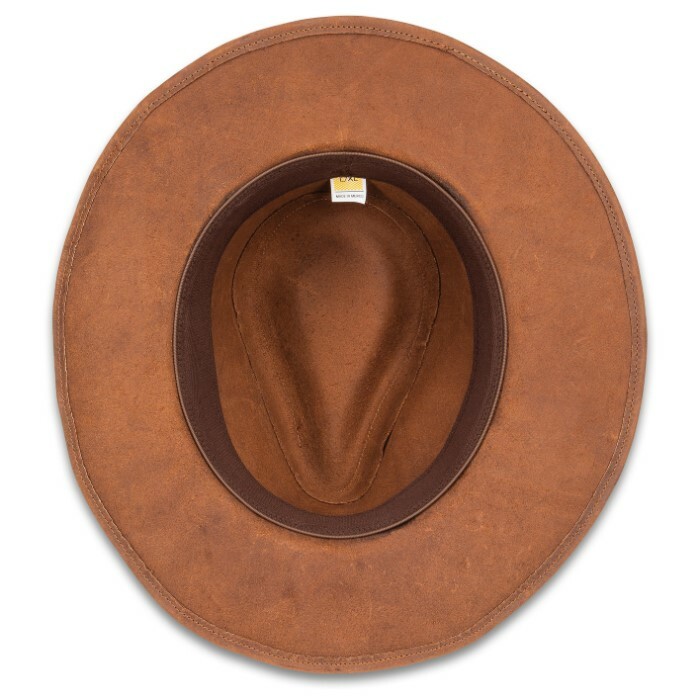 The handsome but functional hat is constructed of genuine chocolate-colored leather and has a soft, elastic band inside to ensure a snug and comfortable fit. 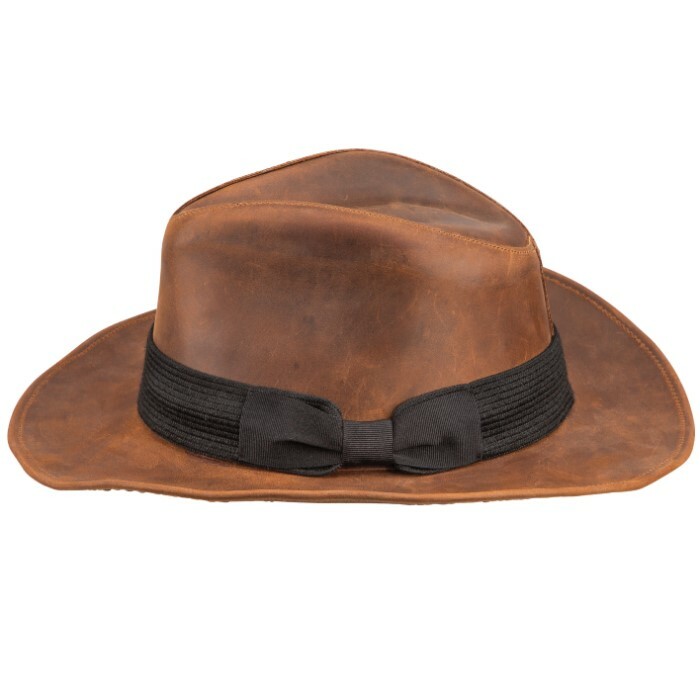 The wide, shapeable brim gives you plenty of shade and the fedora-style crown assures that you’ll look sharp. The black elastic hatband is accented with a black tuxedo-style bow-tie in black grosgrain.